I’m obsessed with dropper serums, like the Hylamide SubQ Anti-Age Advanced Serum, which is flush with five different forms of It-ingredient hyaluronic acid. It’s right around this time of year that my skin starts to get that “tight” feeling around my cheekbones and eyes by midday. This never used to happen, having had more normal-oily combination skin all my life, as opposed to dry-oily. But now that I’m in my 40s, what was once the happy-normal half of my face (I could actually say that one aspect of my skin was normal and not cray-cray like the rest of my face) has become increasingly dry — as in Sahara dry. Needless to say, I’ve had to quickly expand my skin care repertoire to address dry skin issues, something that was relatively new to me. The truth is , skin hydration seemed so basic that I often overlooked its importance in the cacophony of the latest in high-tech, high-powered skin care. But like antioxidants, another “basic” that is often under-appreciated, I’ve come to learn that proper hydration is the key to fundamental skin health. Taking its cue from savvy consumers in South Korea, where dewy, moisturized skin (with their own onomatopoeic terms like “chok-chok” and “gwang”) is more sought after than even anti-aging benefits, beauty companies are making hydration the focus of many of its latest products. Neutrogena launched it Hydro Boost line, which features the water magnet that is hyaluronic acid; Japanese brand Koh Gen Do’s All in One Moisture Gel is formulated with mineral-rich hot spring water and botanicals to serve as serum, balancing lotion and moisturizer in one; and one of my favorite Korean skin care brands at Sephora, belif, boasts the best-selling moisturizer (it hydrates for 26 hours!) in a country obsessed with skin care, its gel cream version featuring hydro-spheres that burst when activated by the warmth of the skin. 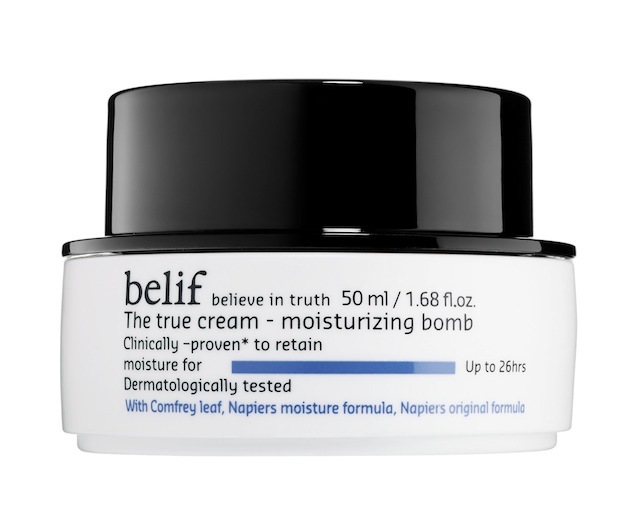 In fact, belif’s The True Cream Moisturizing Bomb changed my thinking on the power of a good moisturizer. The first time I used it, and every time after that, that familiar tightness around the cheeks by midday? Completely gone. 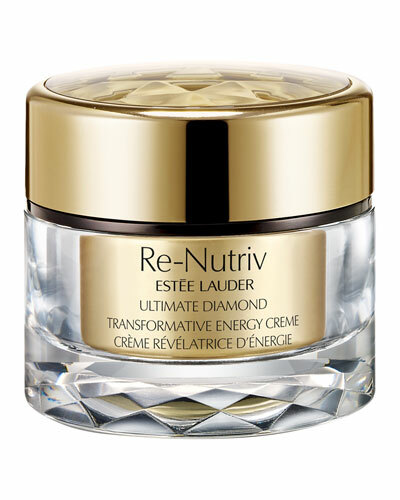 When I ran out, I practically had my finger poised above the “checkout” button to buy another tub when I tried Estée Lauder’s Re-Nutriv Ultimate Diamond Transformative Energy Cream. Another winner! What really convinced me was when I got a laser treatment for some stubborn hyperpigmentation and had to switch out my moisturizer with an all-natural face cream for a few days. Immediately, I could tell the difference. My foundation didn’t “melt” into my skin the way it usually does — it was uneven and blotchy. When I switched back to the Re-Nutriv Cream, my foundation immediately returned to its well-behaving self. It’s rare that I see such an obvious difference instantly — skin care always takes time to do its magic — but I have to say, Estée Lauder Re-Nutriv Ultimate Diamond, as pricey as it is (it’s $360! ), turned me into a believer. But I don’t rely on just moisturizers to hydrate my dry winter skin. After all, moisturizers just sit on top of skin and lock moisture in — they don’t actually add moisture into the skin, according to dermatologist Shirley Chi. So it’s vital to also use hydrating toners and serums with hyaluronic acid and other moisture-loving ingredients to draw moisture into the skin. I have two favorite serums right now that have seriously changed my skin. One of them is Hylamide SubQ Anti-Age Advanced Serum. 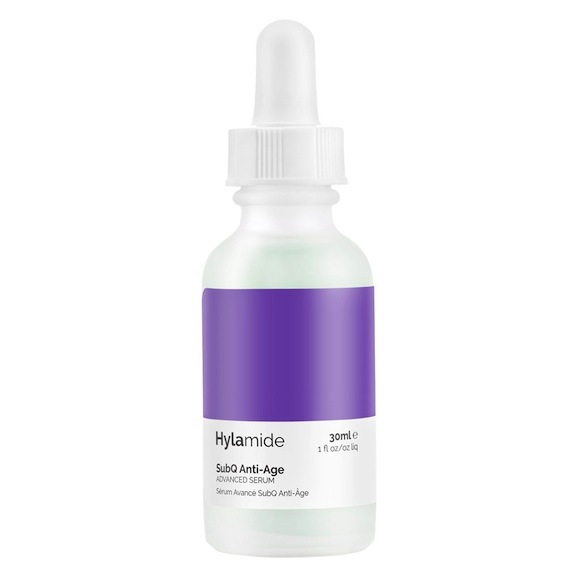 A part of Deciem, which touts itself as the “Abnormal Beauty Company,” the Hylamide serum consists of a whopping 44.32% active ingredients, as well as five different kinds of the ingredient-of-the-moment, hyaluronic acid. 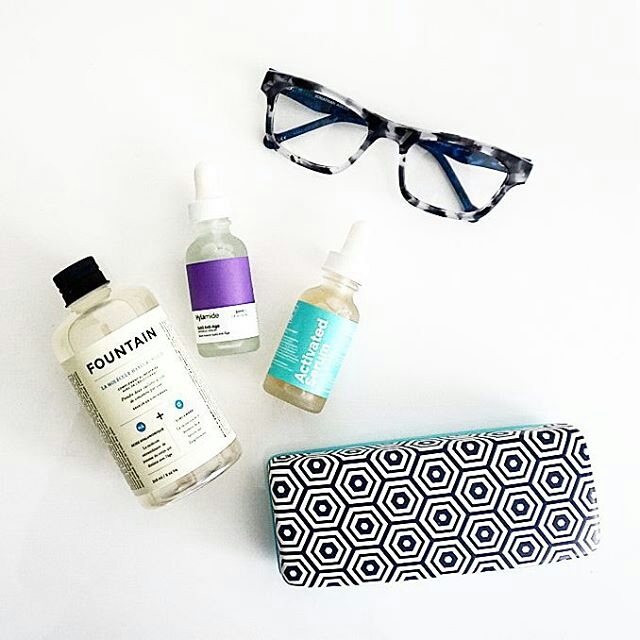 Hyaluronic acid is naturally found in the skin and acts as a water magnet — in fact, one gram of hyaluronic acid is able to hold up to six liters of water. So it helps keep skin hydrated, strengthens skin’s barrier, making it look plump and firm, and it’s even an antioxidant, so it fights all those skin cell-damaging free radicals. The other — LJH Vita Propolis Ampoule — I can’t rave about enough. It’s something I’d buy again and again. To me, it’s a magic potion because it doesn’t just give me a supercharged dose of hydration and antioxidants, it also contains propolis, which does wonders for my T-zone prone to regular hormonal acne. Very interesting article! I also have a type of skin combination that dries up a little during the winter season. Adding also the fact that it is quite sensitive, it is not easy for me to find the “perfect” moisturizer without having to deal with greasiness and heaviness. I found Skinfood Royal Honey Propolis Shield Cream to be wonderful for this. It came with the serum filled with goodness, including propolis. But the serum, although it has a good effect on my skin has some stickness, so I use it by night. And now, having information about Vita Propolis Ampoule, It’s something I definitely want to try. And Belif Moisturising Bomb… I definitely definitely need to try. Thanks Princessoftherain! Anything with propolis I’m a huge fan of, so I’ll definitely have to try the Skinfood cream. You’ll love the Vita Propolis Ampoule — it’s so light, it feels like nothing. And if you’re looking for a moisturizer that feels a little lighter, Belif Aqua Bomb is also great — like the Moisturizing Bomb, but with a more gel texture.